Favourable demographics lead to market growth and recent developments in digital technology make hearings aids smaller and more efficient. The German asscociation of hearing aids manufacturers supported by the association of audiologists (Fördergemeinschaft Gutes Hören) were seeking a long-term agency partner taking up the challenge to improve the image of hearings aids in public. The 15-year multi-level and complex campaign designed by ipr included the creation of „Forum Besser Hören“, an independent institution promoting the importance of hearing, a press office, the creation of a website, national roadshows featuring hearing tests, the creation of a national Hearing-Award „Helix“, awarded to VIP actors and musicians with international reputation (e.g. Al Jarreau, Xavier Naidoo, Pur, Udo Jürgens, Mario Adorf) and the quarterly magazine „Hören“. Europe´s largest chain of audiologists. The market leader in audiology chose ipr due to its profound knowledge of the market for hearing aids. 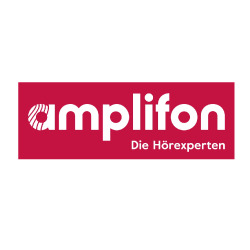 The task was to prepare Amplifon Germany for the digital age and create new online marketing facilities. A stylish new interactive website using Microsoft´s Sharepoint technology was developed and new content created. Easy to access, the website invites to use key Amplifon services and the booking system for local hearing tests. Social media channels were integrated, adding to existing communication channels. Email-Newsletters provide a new well-targeted approach to enhance customer relations.